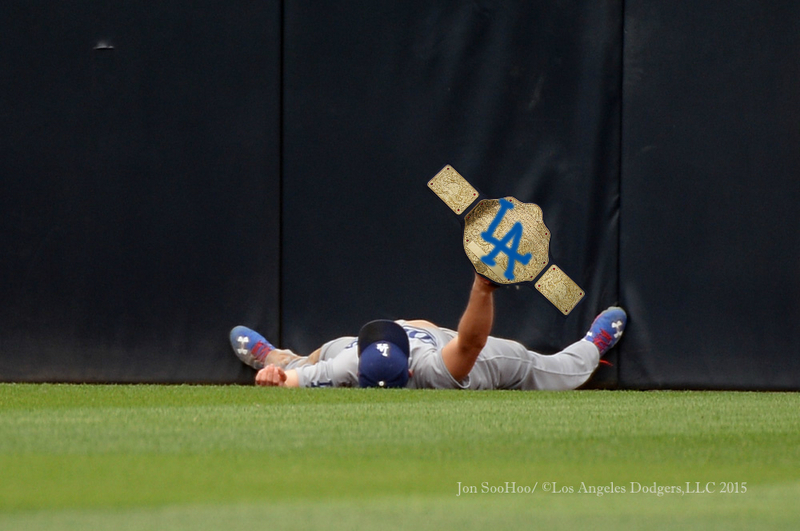 When we last saw the Baseball World Heavyweight Title (which, for those of you just joining us, imagines the World Series Championship as a wrestling belt defended throughout the regular season), it was in the hands of of the big stinky Giants. However, their second reign of 2015 was cut short by a band of Pirates from the mean streets of Pittsburgh, PA. The Pirates defeated the Giants in an epic sweep June 1-3, to capture the coveted strap. Before I could even put their logo plates on the belt*, though, the Pirates were upended by their NL Central rivals, the Brewers, on June 9. 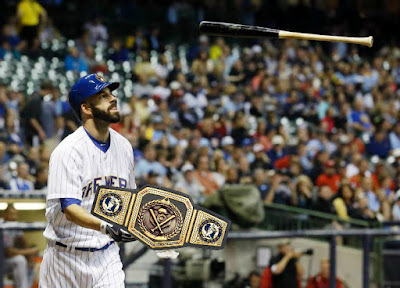 The Brewers, using one of their most famous assets, showered the Bucs with an epic beer bath and stole the title. ...or so they thought. 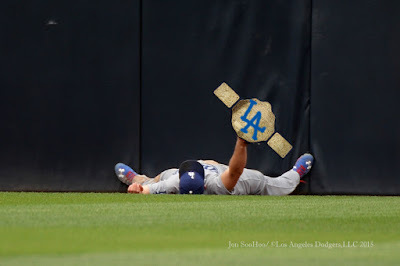 In light of this morning's news of the FBI investigating the Cardinals for hacking the Astros' player information database, the championship committee has stripped the Cardinals of the SoSG Championship and returned it to the Dodgers. The two series that the Cardinals won have been stricken from the record, and the team has been banned from all shots at BOTH CHAMPIONSHIP BELTS for the rest of 2015. 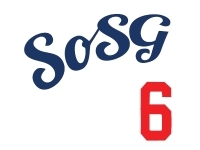 (This is also bad news for the Rockies and Marlins, who would technically have been SoSG title holders, had this grave injustice not occurred.) Sorry, Cardinals, but that's...best for business. ...unless I don't feel like handing it over. *UPDATE (3:56pm): It turns out I did indeed update the belt for the Pirates, and then forgot all about it! So, for posterity, here is the BWHT with the Pirates' side plates. Thanks again for beating the Giants, lads!